Welcome to eclectibles.com, a site for collectors, dealers, researchers and institutions to browse our "bins" of interesting, attractive, informative and whimsical items for sale. 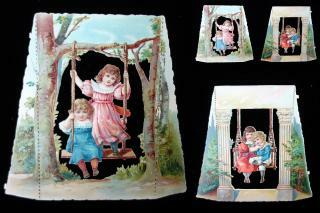 Most of our items are from the 19th Century and are ephemera, or other items on paper. 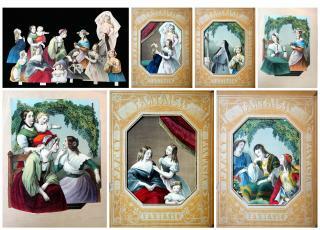 Some categories we specialize in are childhood ephemera including paper dolls, children's books and game; historical memorabilia including business correspondence, early recreational travel in America, menus, advertising, business and trade cards and catalogs; and Victoriana including valentines and other love tokens,We also have a large selection of early ephemera relating to the bookselling trade. Items are often selected for content, not just graphic appeal.